I have been observing my more stylish co-workers in action and have realized they wear great shoes. In fact, no matter how simple (or even sometimes boring) the rest of their outfit is, their shoes have that ‘wow’ factor which the rest of us can only admire. We’ve come a long way from the days when your shoes had to match your handbag, and you purchased a sensible pair of navy pumps which would go with everything. In today’s fashion world, it seems the biggest statements are made below the knee. Here is a modest selection of shoes which I suggest might bring you some wow factor of your own. Sadly, I own none of these, but am working up the courage. You’ll notice a bit of a pink theme with these but all are available in different colors. 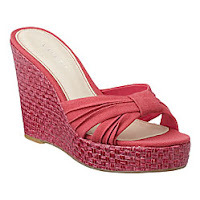 My favorite pair of shoes ever came from Boden. 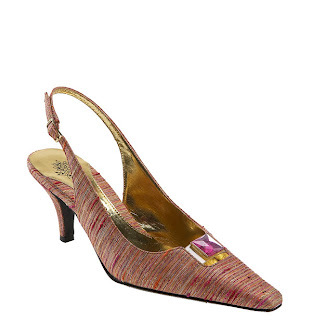 Here are their wonderful peep toe slingbacks for summer 2009. 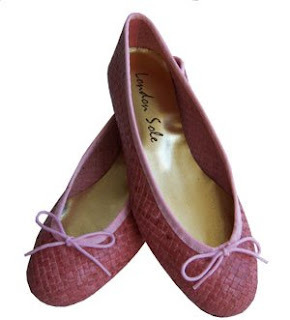 For those of you thinking ‘too high, too high’, try these ballet flats from London Sole. Undeniably expensive, London Sole once gave me a poor customer experience involving UK-US currency conversions, but their shoes are incredibly beautiful.